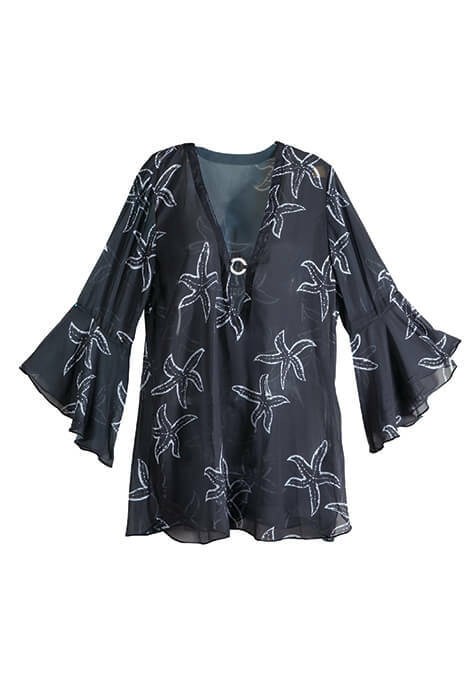 You'll love everything about this Black Starfish Cover-Up, from its flowing fit to fabulous starfish print and decorative hardware at the plunging V neckline. Designed with 3/4-length sleeves, the black cover up slips on and off with ease, offering stylish coverage for the beach, pool or resort. Black. Polyester; machine wash, hang to dry. Imported.